Iron Maiden fans, are you ready for another EPIC tour?? The legendary metal veterans are coming from a huge European tour to delight North America too. 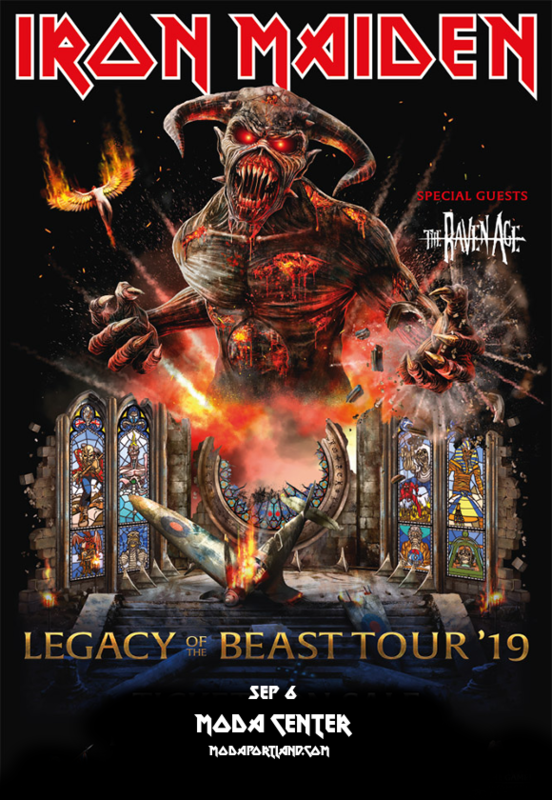 They’re bringing the Legend Of The Beast tour to the Moda Center on Friday 6th September 2019! Tickets are available now for what promises to be a truly once-in-a-lifetime experience! Get yours today by clicking the Buy Tickets button above. Well, what are you waiting for?? Grab those tickets while they last and get ready to witness Iron Maiden live in their full glory!